What better way to leverage the amazing work of Jamie’s Ministry of Food than for Mackay to show their support in delivering a free 10- week Fitness Program. 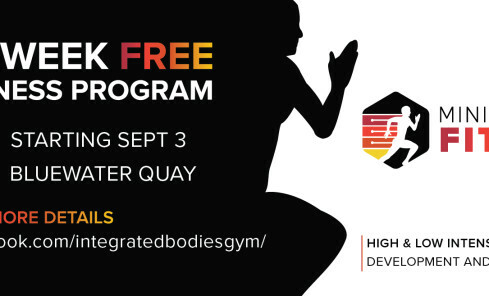 Mackay City Centre has teamed up with Mackay Regional Council’s Sports Development and Integrated Bodies to provide an intensive 10-week program of fitness. Classes will be held at the Bluewater Quay three times a week and cover High and Low Intensity; Athletic Development and Youth Fitness. The Program is open to all and has been especially developed by Alexander Kertesz, who has created programs and fitness strategies for some of Mackay’s top sportspeople, including the Mackay Cutters.